Is Electronic Dance Music the New Rock N’ Roll? As people start to fill the pit of the Gorge Amphitheater, the energy is high with anticipation. One by one, kids and adults alike start to make their way down the enormous hill that makes up the main stage at the Sasquatch music festival. With the Columbia Gorge in the background, and the sun having just set, the atmosphere is ideal. Everyone is waiting for Derek Vincent Smith of Pretty Lights to take the stage and show off his catchy yet original hip-hop beats. The lights go dark and cheering erupts. The stage is brought to life with every color of strobe lights imaginable and people can’t help but start dancing as the bass drops and thousand of glow sticks fill the air. With a quick glance at the audience one can see the pure exhilaration this electronic vintage funk dance music brings to the thousands of people in attendance for the Pretty Lights concert. 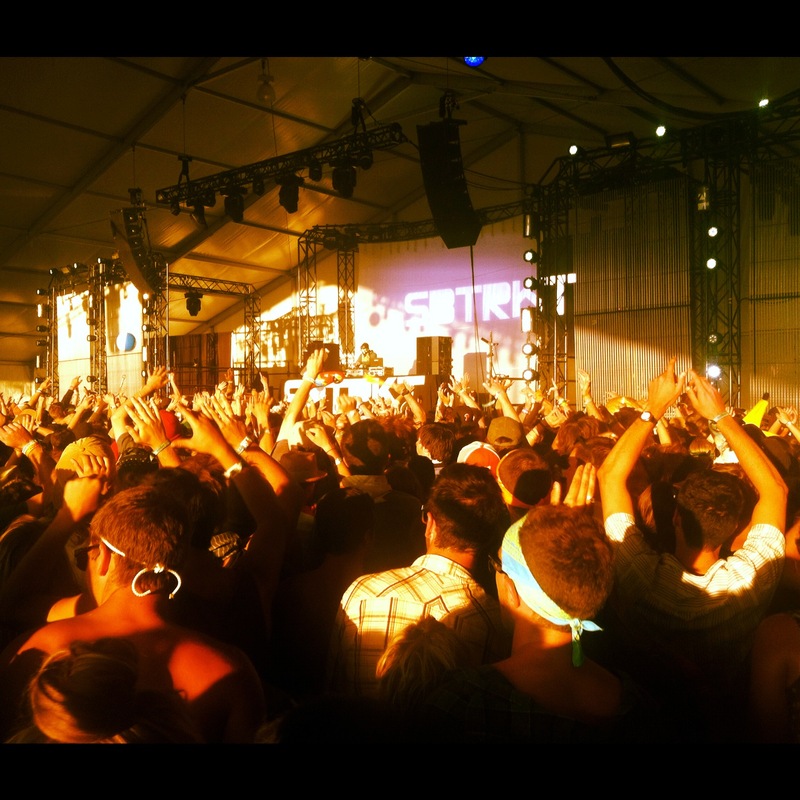 The overall popularity of electronic dance music has hit an all time high this year in the United States. According to Danielle Adams of the College News Blog, “Electronic Dance Music” was added as a category of nomination for the Grammy Awards for the first time in history, and dub step artist Skrillex won three out of five awards he was nominated for, beating out several other popular electronic dance music artists. According to an interview in Billboard magazine, the sudden popularity spike of electronic music is a result of a myriad of things says Ray Waddell, the touring editor of billboard magazine. While some may not agree that electric dance music is the new “rock n’ roll”, the genre is certainly growing in popularity at an extremely fast pace. Tiara Weiner, a senior in the fashion-merchandising program at Oregon State University, as well as a guitarist and vocalist, says she hates electronic dance music. Unlike rock music events, EDM festivalgoers often purchase tickets without even knowing who the acts are. For this year’s Sasquatch Music Festival, several people decided to purchase tickets because Pretty Lights was one of the headliners. Jacob Reichman, a University of Oregon senior majoring in Biology said that Pretty Lights was one of the main reasons he attended the festival, even having never seen them before. One of the attractions of electronic music is its accessibility. Artists can create tracks with a budget of less than $1,000 worth of gear. All you really need is a laptop, sampler, sequencer, bass synthesizer or drum machine, as well as the ability to upload your final product. With the popularity of EDM increasing rapidly, one might wonder what all the fuss is about. Is there a reason that electronic dance music is so popular all of the sudden, and what does the scene have to offer to its audience? Well, the genre is a guaranteed party. Although the bass may be heavy, the energy and spirit of the concert is anything but – reaching an all time high of positivity. Fashion ranges from bikini-clad garments, to furry costumes, to glow in the dark beads covering thousands of forearms– and the glitter is everywhere. No matter who you are, the crowd is a positive and welcoming one. The happy vibes are blatant, but what is the source of this elated attitude? Drugs always seem to be the lingering inquiry in almost any realm of tunes, and it proves to be a large part of electronic dance music. “Molly,”(the nickname for the purest form of MDMA, or Ecstasy) is a popular drug to take before electronic shows. A common drug in the 1990s rave scene, MDMA, an amphetamine, is reemerging as a frequent party and concert drug. A lot of people also choose to binge drink before shows, in hopes of relaxing enough to dance for several hours. Several of the genre’s top stars — including Bassnectar, Aoki and Deadmau5, among others – have publicly denounced drugs, saying they detract from their music. 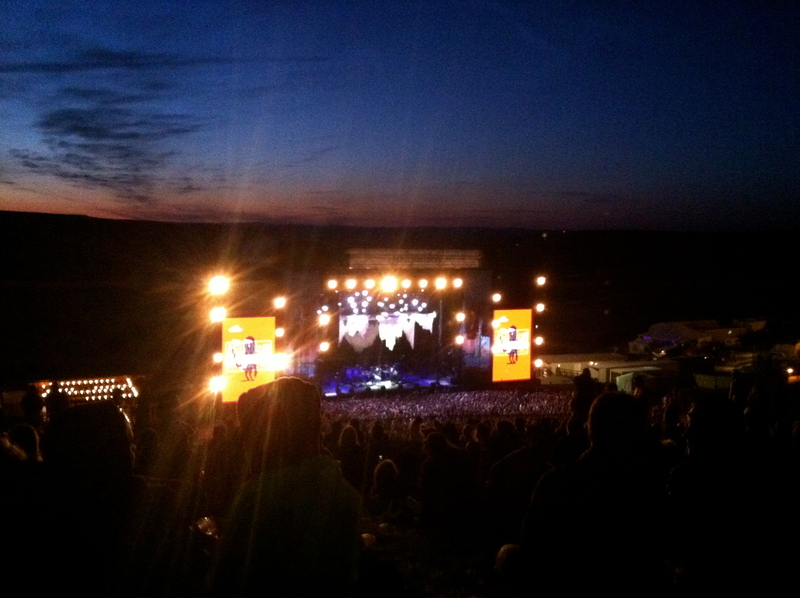 And, overall, promoters note that drug abuse has not marred the genre’s big festivals in recent years. “John Smith,” a college student, says that he’s taken molly before at electronic shows, and really enjoys it for the most part. 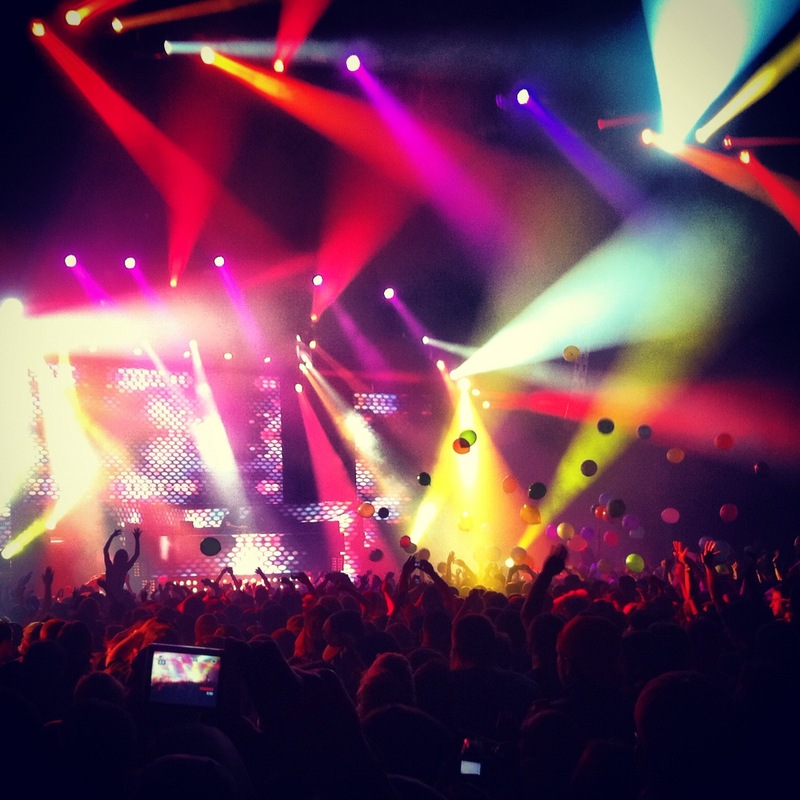 Regardless of whether people are choosing to consume MDMA or not, the drug has a major presence within the electronic dance music scene, as well as college parties. Crouse Hospital, less than a mile away from Syracuse University campus in New York, is one of many hospitals near a college campus that has seen a significant increase in the past two to three months of patients in multiple units that use MDMA, with the age range of patients coming in for MDMA treatment or therapy is generally between 18 and 25. At the WaMu Theater in downtown Seattle Washington, young adults and kids line up down the street and around the corner to get into the Bass Center for the sixth and final Bassnectar show of his spring tour. The lobby is semi-dark with fluorescent blue lights on the vaulted ceilings as people run from the bathroom to the bar in anticipation of the bass drop. The opening show has already finished their set and people look to settle into their prime dancing spots. Most everyone is wearing some version of a crazy outfit, ready for the bright lights and heavy bass. The amount of people waiting for the show is overwhelmingly huge, with over 7,000 people in attendance. The rate at which tickets for electric dance music shows sell out is another wild aspect of the genre. This spring, for Bassnectar’s VaVa Voom tour, a show was announced at the Red Rocks Amphitheater in Morrison, CO for June 2nd. More than 10,000 tickets were sold within a day, and an extra show at the Red Rocks amphitheater was added to compensate for the number of people who didn’t receive tickets. While some may not classify electric dance music as rock n’ roll, it certainly has just as many fanatics. The Bassnectar movement has resulted in a community of fans who refer to themselves as “Bass Heads”; consisting of fans that follow Bassnectar around the country to attend his shows. Much like the Deadhead community centered on the Grateful Dead, electronic dance music is surely creating a significant following as well as several other electronic bands. The popularity of the genre is growing, not only in large cities but also all over the world and the nation. In Eugene Ore., electric dance music has its own movement forming. According to Powell, the band is hoping to capture a new, larger audience in the Portland area next year while continuing to experiment and create different styles of music. With electronic music becoming increasingly popular all over the world, the Pacific Northwest and Eugene in particular have been inundated with synthesized electronic sounds. Mike Hergenreter, the booking agent for the McDonald Theater, says that he’s noticed the mainstream appeal of electronic music creating quite the buzz over the past few years with “dubstep” becoming a version of popular music. On the other end of the spectrum, electronic dance music seems to only be increasing in popularity. With shows selling out within minutes of tickets being released, and tens of thousand of people attending concerts made entirely from a computer. Many of the people in attendance have never even heard any of the artist’s music before, but are willing to jump into the music scene that is electric dance. The sounds may be completely different to any other form of music in history, but the massive following and fan base of this genre similar to that of rock n’ roll – enormous. Ultra Music Festival – a world-renowned music festival in Miami Fla., drew 165,000 people from 70 different countries around the world this spring stretching over three days with more than 100 different performances. Winning “Best Music Event” of the year for 2005, 2007, 2009, 2010, and 2011, UMF is one of the largest and fastest growing music festivals out there. Phil Taylor, a senior majoring in geography at the UO, attended Ultra Music Festival and said it was one of the best he’s been to. “I had no idea of who was going to be performing at ultra, but bought my ticket anyways,” Taylor says. Overall, Ultra was one of the best-organized and easiest music festivals I’ve attended – keep in mind I’ve attended 13 music festivals. According to an article written by Ben Sisario of The New York Times, electric dance music is changing the industry like never before. Producing millions of dollars, and selling out thousands of shows, people flock from all over the world to hear the pulsating base and bright lights that is electric dance music. Some may argue that this is the future of the industry, while others hold tightly to sounds of the past. Whatever the case may be, there is power in numbers. “If you’re 15 to 25 years old now, this is your rock ‘n’ roll,” says Michael Rapino, the chief executive of Live Nation Entertainment, the world’s largest concert promoter.